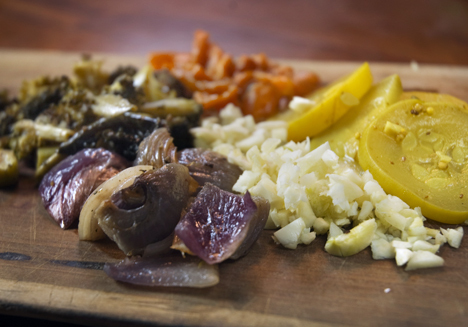 I think of this dish as my version of the garbage plate, albeit one with a slightly lower fat content perhaps! A marvelous hodgepodge pile of my fridge excavations crowned with a golden, runny egg, this dish in some incarnation is my day-to-day sustenance. 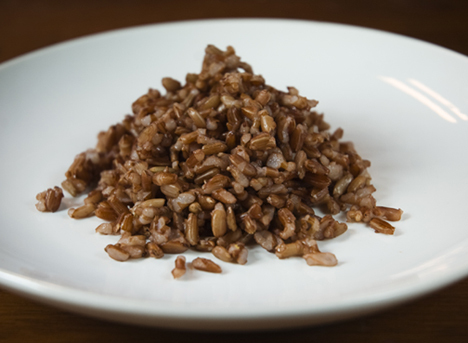 Bhutanese Red rice, the base grain of this particular version, has a wonderfully nutty flavor and chewy texture– but it is the color that really impresses. 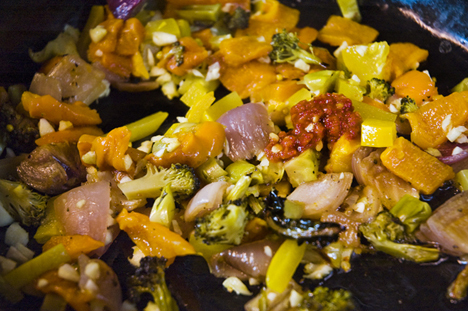 Tossed with a vibrant veggies, this colorful meal is akin to stir fry/fried rice but the addition of the egg reminds me more of breakfast hash. 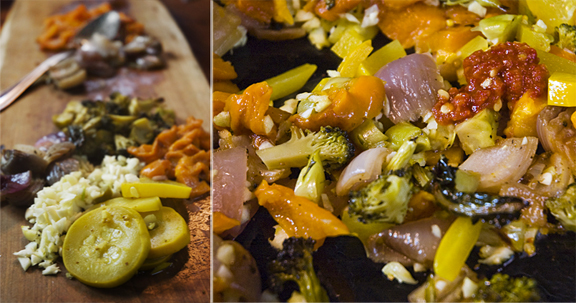 Saute veggies in olive oil till tender. Add beans, hot pepper sauce, and Braggs to taste. Add rice to pan, toss occasionally till everything is hot. 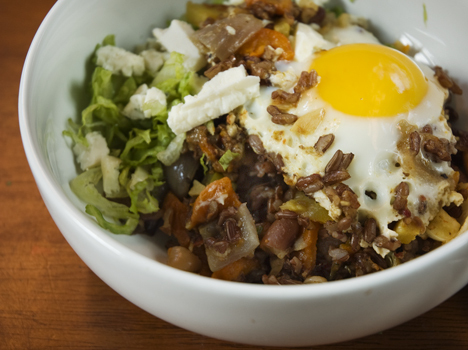 Serve topped with shredded lettuce, crumbled cheese and an egg fried to your liking.